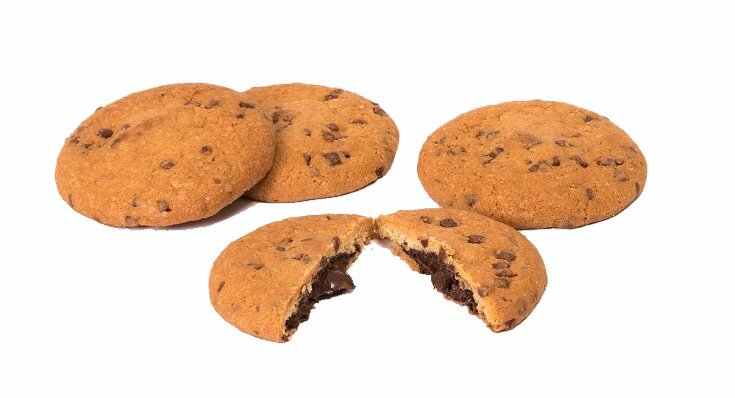 Wirecut machines are typically used to make chocolate chip and other soft dough cookies. In this typical process, two contra-rotating feed rolls force dough through circular dies to form cylinders. 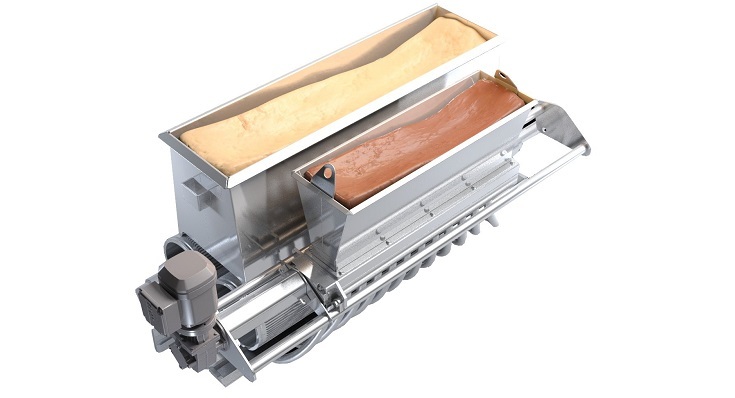 As the end of the cylinder emerges vertically from the die, wires mounted on a reciprocating frame cut through the dough horizontally to form discs which fall onto a conveyor band transporting them to a continuous oven. 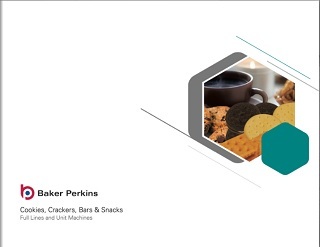 In Baker Perkins’ new encapsulation process, a continuous stream of filling is pumped into the centre of the dough cylinder, forming two concentric cylinders. 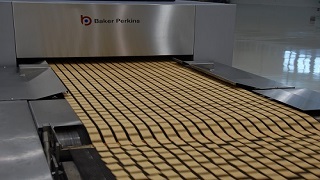 The reciprocating wire frame is replaced by a set of iris-die cutters which crimp (or pinch) the dough and filling, forcing the dough to completely enclose the filling. The iris-die cutters are operated by a linear actuator and are bi-directional. As the actuator moves forward, the iris die is closed to crimp the product and then opens again as the actuator continues its stroke. The action is repeated on the return stroke of the actuator. This reduces vibration and wear in the die compared with a simple open and close mechanism.